Wat is dit voor site? Wij zoeken de goedkoopste boeken op internet. 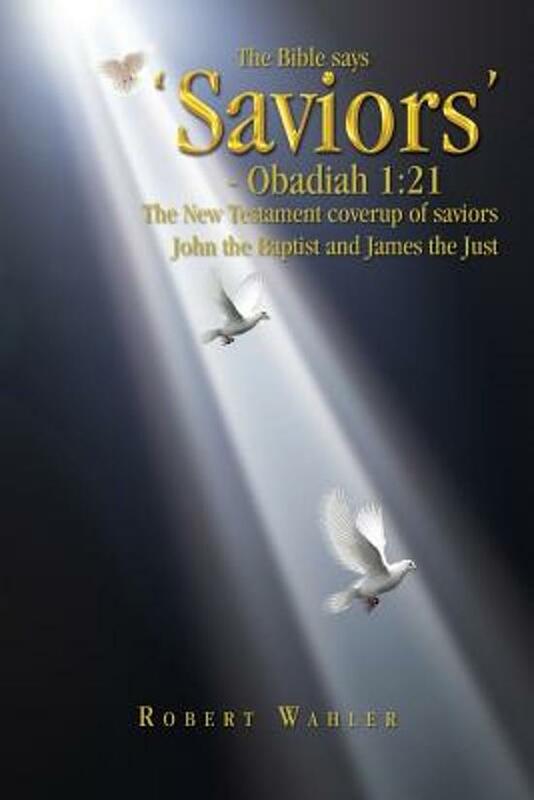 The Bible Says 'Saviors' - Obadiah 1vonden we het goedkoopst op Bol.com voor €22.99. We hebben gezocht in nieuwe en tweedehands boeken. Rechtsonderaan de pagina kan je het boek direct bestellen	via Bol	.com. "Saviors shall ascend Mt. Zion ..." - Obadiah 1:21. How many know that the Bible says "Saviors," PLURAL? Not many. This is the story of the mystic Saviors John the Baptist and James the Just, and where the tell-tale evidence for them as saviors, and many more as well, can be found in the Bible. The Tanak, the "Old Testament" of the Jewish Faith, has details of many different saviors, and the Christian New Testament has suppressed similar evidence, both fascinating and deeply hidden, that only now comes to light because of the recent amazing discoveries of long lost manuscripts of the Dead Sea Scrolls, the Nag Hammadi gnostic gospels, and most stunning of all, the 'lost' Gospel of Judas, mentioned by Irenaeus in the 2nd century. Only here will you learn how to read the mystic truths in the scriptures, and see revealed to the world for the first time, even in the very words of Jesus Christ himself, the evidence for serial Mastership -- a long line of spiritual masters with the power of salvation. A message of personal non-sacrificial works salvation in contrast to the accepted faith-only invention of the "Spouter of Lying," Paul, emerges as the various sources come together in a way unseen as stand-alone literary compositions. The many mistranslations, misinterpretations, and misunderstandings of scripture which contributed to the delay of this monumental discovery are presented verse-by verse in a riveting analysis of period documents and comparison with modern-day mystic teachings. The almost unbelievable lengths that the gospel authors and early Pauline church leaders went to to conceal this truth is now clearly shown. The falsification and hijacking by gospel authors of two beautiful Old Testament verses, Zechariah 13:7 and Psalm 41:9, is thoroughly reviewed. Scholars do not know this. The clergy does not know. But you can know, and you should. The author, Robert Wahler, is a life-long follower of the teachings of Jesus Christ and is a practitioner of Surat Shabd Yoga. He maintains a home in the Bay Area of California and a farm on the Big Island of Hawaii.